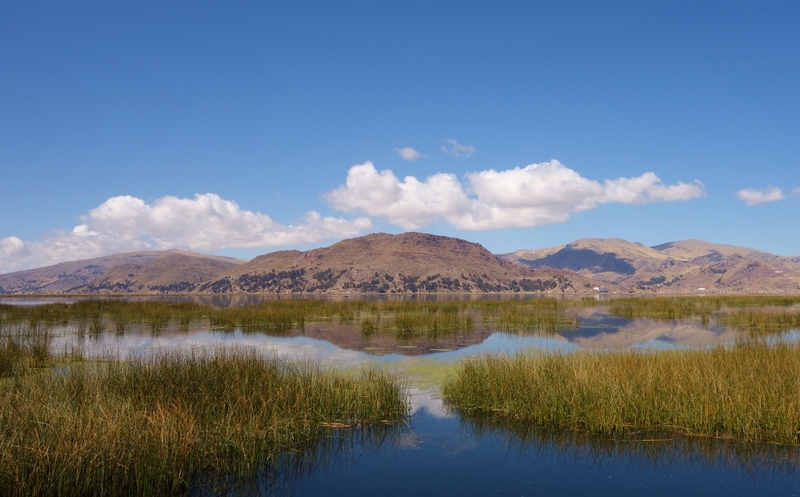 Our last stop in Peru was the dizzyingly-high city of Puno. At almost 4000m above sea level, coming here straight from the coast will require you to take it easy or risk serious altitude sickness. However, we’d already spent weeks in high-elevation Cusco and Arequipa already, so we were fairly well acclimatized. 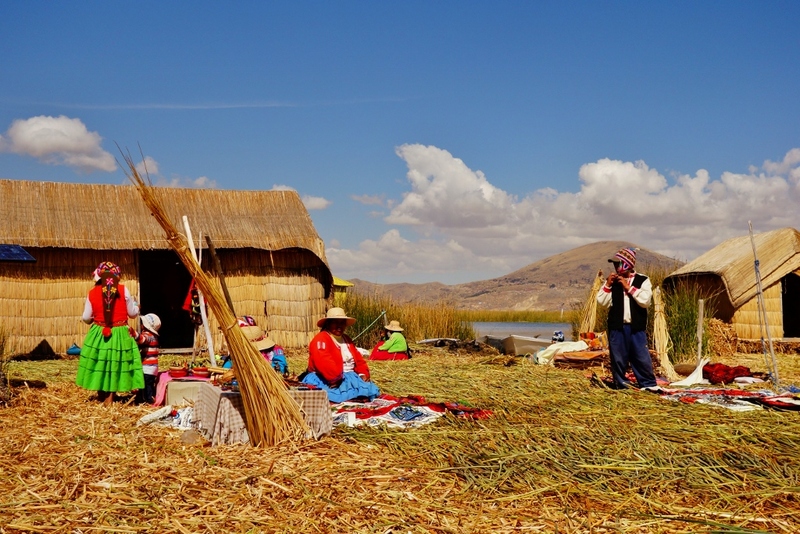 Puno is a chaoatic, compact little city. 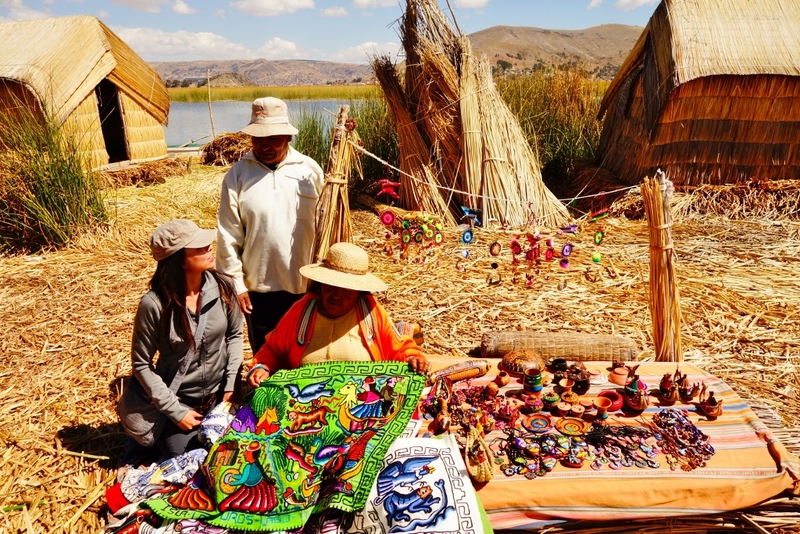 It’s a convenient stop for people travelling between Peru’s larger cities and La Paz, Bolivia and a gateway for those wanting to visit Lake Titicaca. 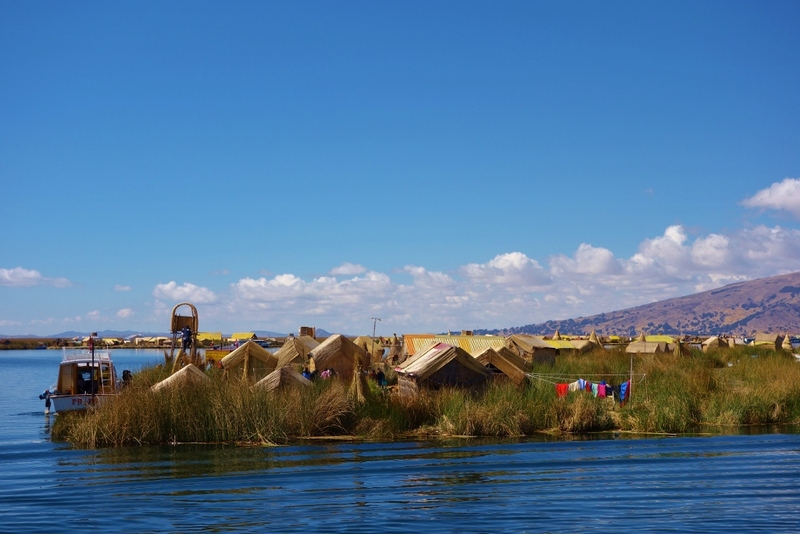 Lake Titicaca is the world’s highest navigable lake (there are a lot of higher, smaller lakes but boats are unable to navigate through them). 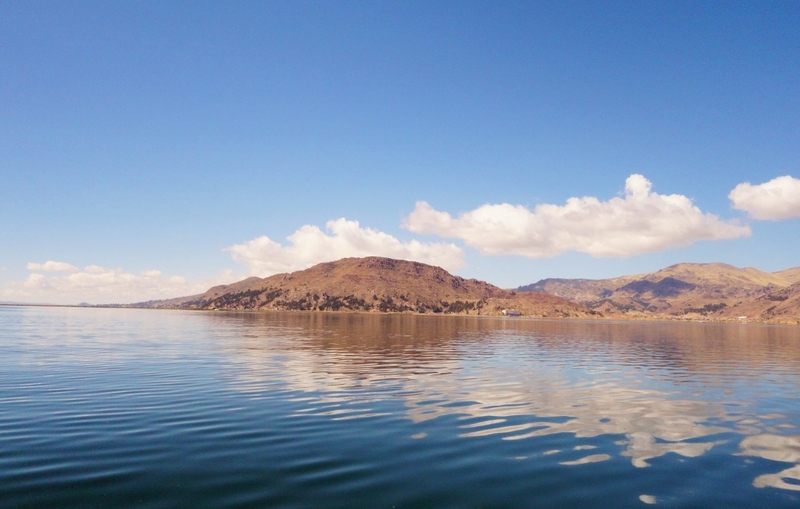 Floating on the lake, it feels like you’re on top of the world, as the skies melt into the mirror-like lake. The lake is also home to the unique sight of floating reed islands. These man-made islands were made centuries ago and are still inhabited by the indigenous people who constantly refresh the islands by adding new reeds to the surface, as older reeds at the bottom disintegrate. 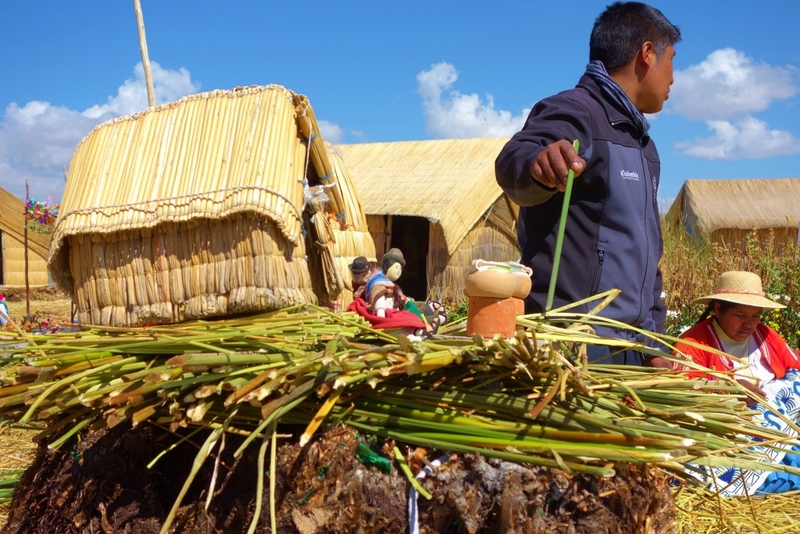 The reeds, which are plentiful in the lake, are also used to make their huts, furniture, and boats. 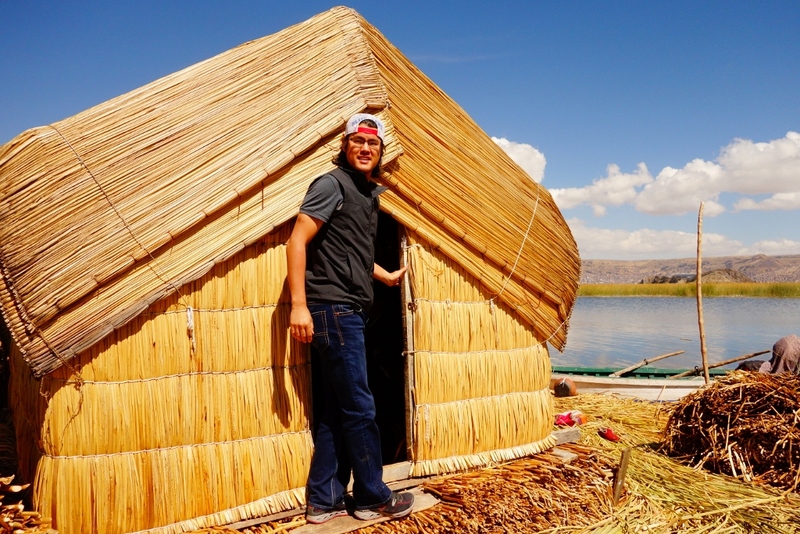 We had a few hours free one morning, so we decided to visit the nearby Uros Floating Island to get a taste of what the Uros lives are like. We’ve read some reviews that these short 3-hour tours can seem very superficial and shallow, due to the repetitive nature of these tours. But I personally found our tour very interesting and informative. The island ladies waiting to greet us as we arrived at their island. 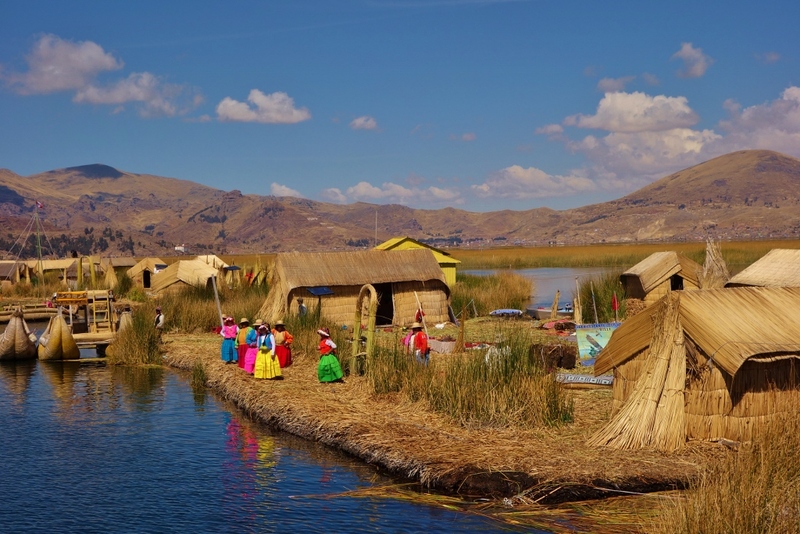 The Uros islands are a group of about 70 islands grouped together – each island has its own “mayor”, who’s responsible for overseeing life on that specific island. 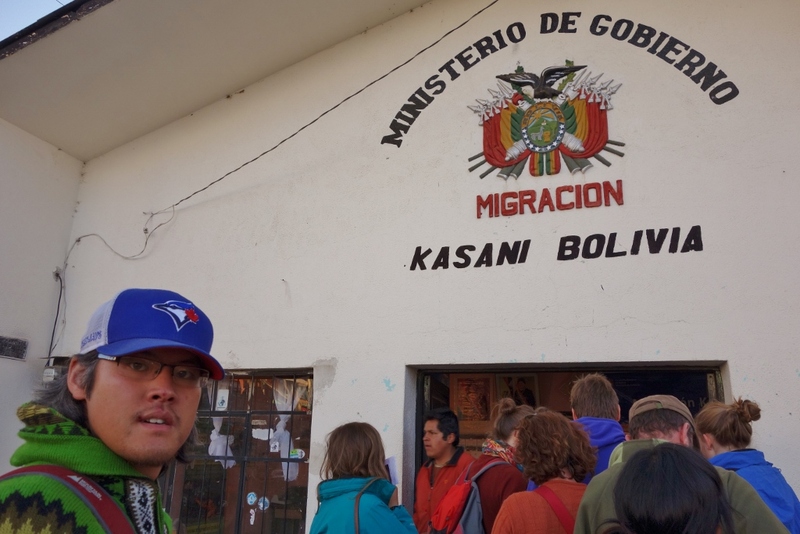 The island we visited had 5 families living together and they eagerly welcomed us into their homes. 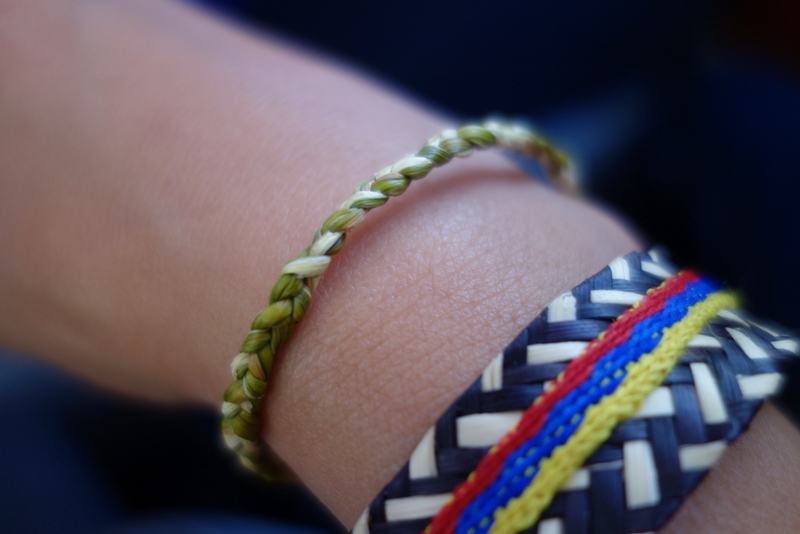 Jason picked up a piece of dried reed off the floor of the island and braided this bracelet for me – an authentic little keepsake!